Stylish it is; I think Ryan Murphy's directorial style will work very well for this material, as it did for Feud: Bette and Joan but as it did not so much for The Normal Heart, where style got in the way of the story, in my opinion. I debated whether or not to watch this but have decided to commit; not a fan of "what makes this killer tick?" movies or books. Also, it brings back memories of when press coverage of the gay killer on the run bordered on condemnation of the whole gay community which had "bred" him. Whenever the public has gotten nervous about gay people, somehow the coverage has gone right to Mapplethorpe territory to the exclusion of much else and you see the same old images of assless chaps on parade floats, etc. The theory being that if you scratch the surface of the average gay person all this depravity comes oozing out. Anyway, I'm hoping Murphy will be able to navigate that terrain. I also hope I'm not too exhausted from watching a dangerously deranged individual on a daily basis for the TV series to fully resonate. This past Monday night on FX, as the deranged killer, Andrew Cuanan, Darren Criss gave a superb performance. His creepiness is beyond description. My memories of him on "Glee" are not getting in the way. It is great to have him back on TV. What person in his right mind would want to show us such grisly material? There is another way to show us this kind of material. I had the impulse to shut it off a few times. But the performance from Darren Criss is really mesmerizing. You're both right; this week's show was really difficult to watch. I watched ESPN's lengthy OJ documentary but I never watched Murphy's OJ series so I don't know how the murders were treated in that one. 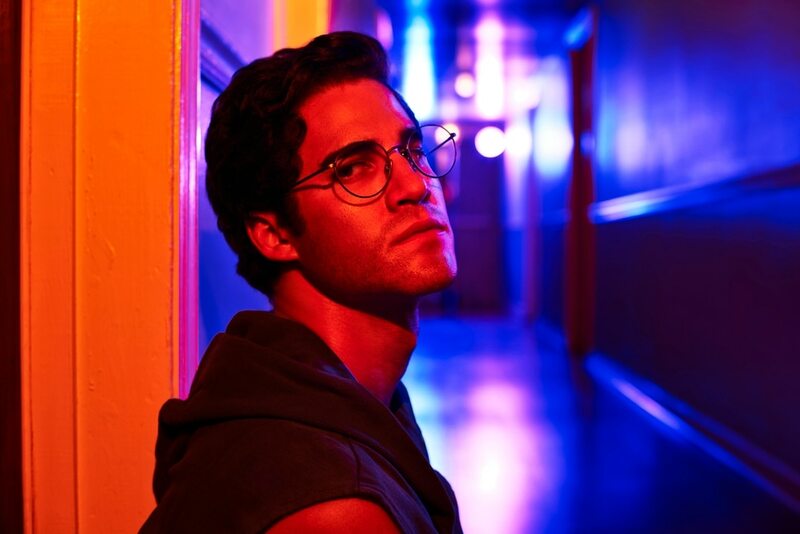 They seem to be done almost lovingly here and the casting of Darren Criss, who is visibly hotter than the real Cunanan, seems to glamorize the killer in a way which works against our understanding of him. Unless I'm mistaken, I think we've seen all of the murders already, so hopefully there'll be a shift to the police investigation and to Versace himself. There wasn't a trial in this case so a lot of this information never got to the general public; I guess the series is the trial in a sense but if the focus stays on the bloody stuff, I may bail. I don't know how involved Ryan Murphy is in the casting but I've enjoyed seeing some familiar faces. I love Cathy Moriarity so I was pleased to see her as the pawnbroker. And Sophie Von Haselberg (Bette Midler's daughter) was a nice surprise this past week; she did a great job. Overall it's a pretty big cast and everyone seems to be in really good form. I hope they go back to the Ricky Martin character because so far he's basically just been wandering around. What part did Sophie Von Haselberg play? The sister (Penelope Cruz) seems to despise her brother's lover. Sophie played the coworker and friend of the guy whose apartment Cunanan was staying at who brought in the police. She was checking on him when he was a no-show at work; at that point everyone assumed the body was his. Yeah, I'm really curious about that relationship. She seems to blame him for infecting her brother.